A new product has been announced by the marketing orchestration software company Engagio to position B2B marketers to use multi-touch attribution to analyze ROI and make informed decisions about driving business outcomes at high-value accounts. The company stated that the tool aims to help marketers understand the impact of marketing programs on multiple stakeholders within an account, as well as analyze conversion at every stage of the account journey, to measure custom demand, and optimize the account based funnel. 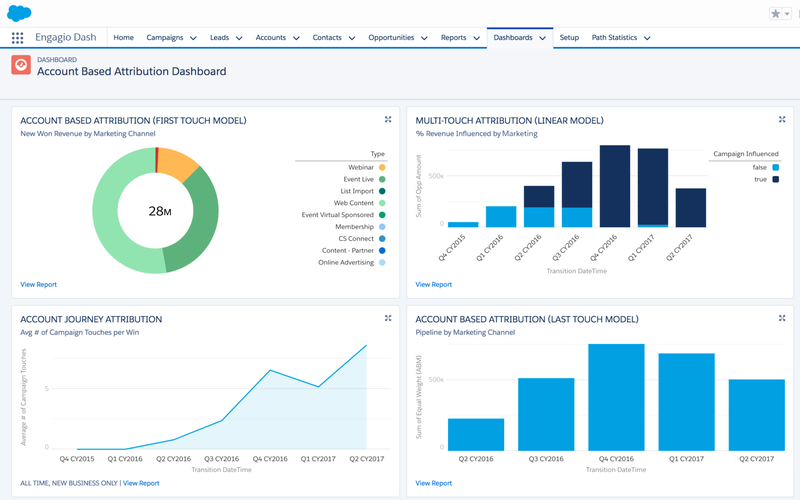 The product supports multiple attribution models — including First Touch, Last Touch, Equal Touch, Position-Based, and custom — while providing native Salesforce.com dashboards for greater flexibility.